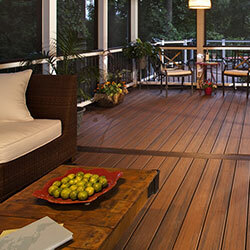 Are you getting the most out of your deck? 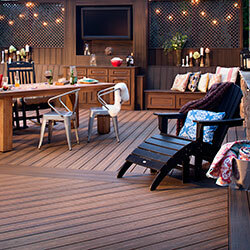 Most people focus on using their deck, but forget about all of that space underneath that can also be utilized- even in the poorest weather conditions. 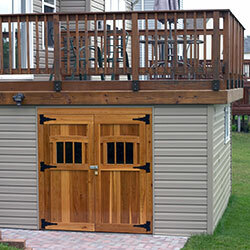 The ZipUp UnderDeck system consists of five simple steps and can be completed by a homeowner with common tools. Lightweight yet durable PVC components lock together for a water-tight seal, yet all or part of the system can easily be removed without special tools. Who says you need to be on vacation to sit back and relax? 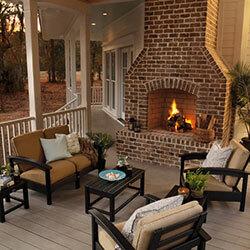 An outdoor seating area is a great place to kick back and relax with friends and family. Why go out when you can enjoy drinks and food in your own backyard. 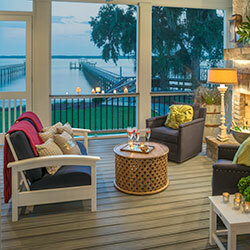 Call your friends, cause rain or shine, this patio bar is always open. You no longer have to worry about those pesky mosquitos, a screened in porch keeps the bugs away while letting the fresh air in. Whether you are watching the big game or making smores, an outdoor living room complete with a fire-pit and TV is a great place for spending time. 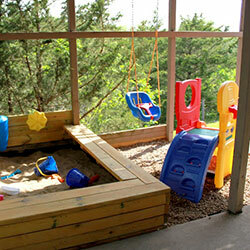 Give your kids a dry place to play outside even when it's raining. Everyone could use more storage space and now you can add storage without taking away any usable square footage inside your house.